Like all false teachers and cult leaders, Rev. McClendon quotes a little-known verse to support his view. 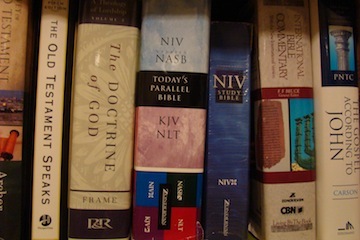 Now, little-known verses are still scripture, but if someone quotes a verse you’re not familiar with and it doesn’t jive with what you know other scripture clearly teaches, what do you do? All you have to do is find the verse and read it in context. This is an essential rule of thumb for everyone: when someone quotes scripture — no matter who it is doing the quoting — go read it in context. People try to get scripture to say all sorts of things it doesn’t by taking it out of context. When I first heard Rev. McClendon say this, I thought he was referring to John 10:10 when Jesus says, “I came that they may have life, and have it abundantly,” but when I looked the verse up I found it was in the very short letter by John towards the end of the New Testament called 3 John. So, John writes this line quoted by Rev. McClendon not in a long theological argument, but as a greeting. 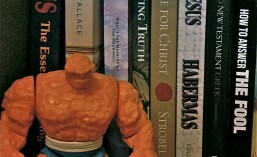 Nowhere does John explain that growing in the faith will guarantee growth in material wealth or health, not in the rest of this letter or elsewhere in the New Testament. John is praying for Gaius’s well-being and hoping the best for him, like any friend would do. A greeting said between friends, even if it appears in scripture, is not the basis for a theology apart from the rest of the Gospel. “The thief comes only to steal and kill and destroy; I came that they may have life, and have it abundantly. I am the good shepherd; the good shepherd lays down His life for the sheep. He who is a hired hand, and not a shepherd, who is not the owner of the sheep, sees the wolf coming, and leaves the sheep and flees, and the wolf snatches them and scatters them. He flees because he is a hired hand and is not concerned about the sheep. I am the good shepherd, and I know My own and My own know Me, even as the Father knows Me and I know the Father; and I lay down My life for the sheep” (John 10:10-15). Would the prosperity preachers lay down their life for their flock? Or are they just thieves and hired hands? Since we’re looking at scripture, let’s look at some verses that do have clear implications concerning wealth — verses that would be difficult to misinterpret even if they were taken out of context. So, godliness is gain; we should find contentment in having our basic needs for food and shelter met; and chasing after material gain leads to destruction. It certainly sounds like Jesus is saying he doesn’t have wealth, maybe not even a home, and that those who follow him shouldn’t expect more than this either. Hard to misinterpret that one, isn’t it? When thinking of the prosperity preachers, I can’t help but think of the interaction between Jesus and the rich young man in Matthew 19. The rich young man claims to have followed all the commandments flawlessly and he wants to know what more he needs to do, so Jesus tells him, “If you wish to be complete, go and sell your possessions and give to the poor, and you will have treasure in heaven; and come, follow Me.” The young rich man “went away grieving; for he was one who owned much property.” This didn’t surprise Jesus. He knew where this young man’s heart truly lied. How would the prosperity preachers react if Jesus asked them to do the same thing? Would they choose their wealth or Jesus? Jesus’ message here is so important that he emphasizes it not only by starting it with his “Truly I say to you” introductory phrase, but he repeats it twice! Fortunately for the rich, Jesus concludes this teaching: “With people this is impossible, but with God all things are possible.” So, as I said earlier in the first post, money isn’t inherently evil, but Jesus and the New Testament writers undoubtedly spend a lot of time explaining how easily money can lead us astray. This is particularly important to all of us living in the United States or other wealthy countries. We are the rich! Having clean, running water in our homes alone makes us richer than most of the world. Being surrounded by stores providing an endless supply of food and entertainment makes us wealthier than most of the world. Owning a car or TV or computer or a closet full of clothes, no matter how “outdated,” makes us richer than the majority of the world’s population. It doesn’t seem like it was all that long ago when I first heard the phrase the “prosperity gospel” or the “health and wealth gospel.” From what I could gather, it sounded like there were some preachers, grown from the Pentecostal tradition, out there proclaiming that if you’re a good Christian, God will bless you with good health and plenty of money. I didn’t find this surprising. I remember the rise and fall of several TV evangelists in the ‘80’s and ‘90’s, and these “prosperity gospel” preachers were just the new school of that same tradition of celebrity pastor con men. 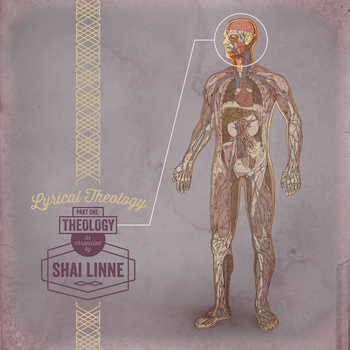 Earlier this year, Christian hip hop artist Shai Linne released his album “Lyrical Theology, Pt. 1: Theology” (which I highly recommend) and caught a lot of people’s attention with his song “Fal$e Teacher$,” which criticizes the prosperity gospel. 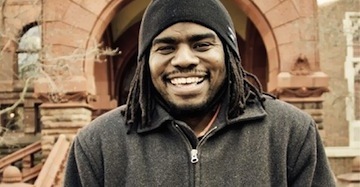 Not only does Shai Linne show how a catchy song with blunt lyrics backed by tight biblical theology can be powerful, but he also names twelve celebrity preachers, proclaiming them all to be false teachers, including Joel Osteen, T.D. Jakes, and Joyce Meyer. Even respected evangelical preacher and author John Piper praised Shai Linne in a tweet for his stance. 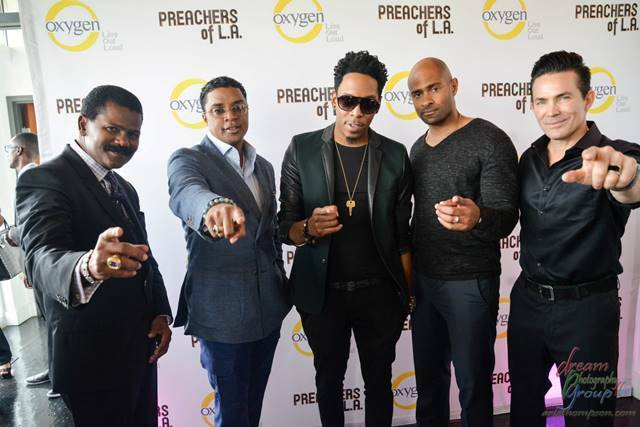 Then, came the trailer for an upcoming TV reality show on Oxygen, The Preachers of LA. 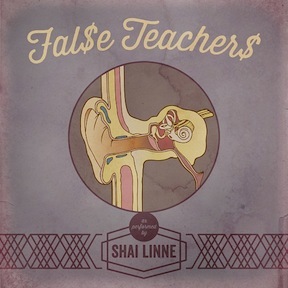 As soon as I saw the trailer, Shai Linne’s “Fal$e Teacher$” burst into my head. But when I sat down to watch the premier episode this past week, I tried to keep an open mind. 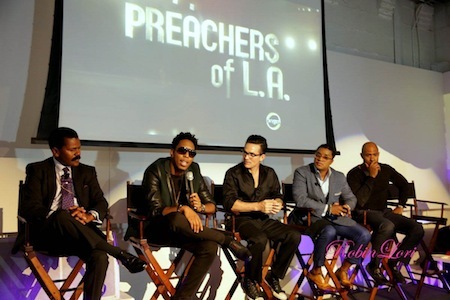 Not knowing anything about them, it’s hard to criticize all of the pastors on the Preachers of LA based a single hour-long show. One or two of them might actually be legit and not as filthy rich as the rap-like slow-motion and shiny cars make them appear. 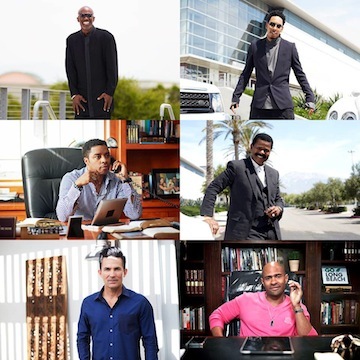 I didn’t want to immediately dismiss these pastors as false teachers of the prosperity gospel. Running a “mega-church” or driving a nice car doesn’t automatically make a pastor corrupt. Many pastors write books, travel to speaking arrangements, and are involved in ethical businesses that may or may not have anything to do with their ministry, and if they work hard for their money and earn it honestly, what’s the issue? Of course, this could move us into a discussion on Christian giving and sacrificial living, but I’ll say one more thing and leave this issue here for now: There’s nothing wrong with a pastor having money gained through honest means, but whenever we see a pastor with a lot of money – especially if he flaunts it – it should be a billboard-sized warning sign something could be amiss. Another issue with watching Preachers of LA is an issue I have with all “reality” TV in general. 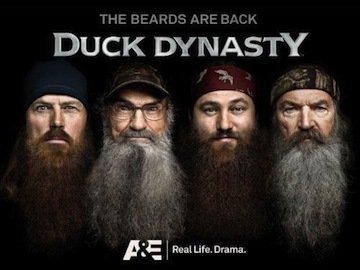 I know people who have worked on “reality” TV shows, so I know just how staged many of these shows are. It’s really hard for me to watch a “reality” show and not feel like I’m being manipulated. Further, it’s not hard to edit scenes and dialogue out of context to make characters appear to be saying or doing something that’s not reality at all. I even read about editors bleeping words that weren’t even curse words in episodes of Duck Dynasty to make it appear as if the characters, who are Christians, were using foul language. In the industry, these sort of shows are sometimes called “docu-dramas” because they have the feeling of “reality,” and there may be a lot of truth behind the characters, but the situations and conflicts are completely fabricated. Elsewhere, Jesus tells his followers that they will be persecuted. Paul, Peter, and most of the other apostles met early deaths by following Jesus. What would Paul and Peter think of the prosperity gospel? Where’s their wealth and good health? Even if 95% of what the prosperity gospel preachers are saying is true, that still leaves 5% as false. And anything added to or taken away from the true Gospel of Jesus Christ is not the true Gospel of Jesus Christ at all. You don’t get much clearer than that. Paul, the church’s greatest missionary and writer of much of the New Testament, tells his audience if he, the other apostles, or even an angel from heaven tells them something different than the Gospel of Christ, he, the apostles, and the angel are cursed by God! 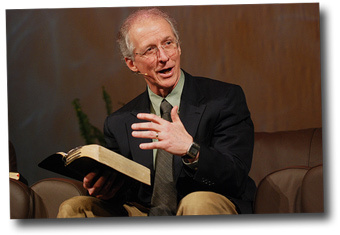 NEXT: Part 2: What does Scripture have to say about the prosperity gospel? One two one two, Yo! To Saints in Malawi, Ghana, Nigeria, Kenya, Zimbabwe. Don’t be deceived by what America is sending y’all man, yeh? Deception within the church man, who’s letting them in? You cast at me when you criticize them when you criticize them, but Jesus told us: Matthew 7:16, we can recognize them! And God forbid that for the love of some fans, I keep quiet and watch them die with their blood on my hands! Turn off TBN that channel is overrated. 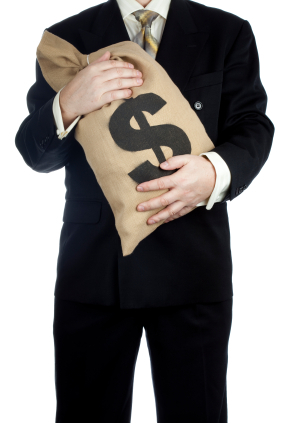 The Pastor’s speak bogus statements, financially motivated. It’s kind of like a pyramid scheme. Visualize Heretics christianizing the American dream. It’s foul and deceitful, they’re lying to people, teaching that camels squeeze through the eye of a needle! Ungodly and wicked, ask yourself how can they not be convicted treating Jesus like a lottery ticket. they’re only proof that Satan comes as an angel of light. It’s called self(ism) the fastest growing religion; they just dress it up and call it “Christian”. Don’t be deceived by this funny biz, if you come to Jesus for money, then he’s not your God, money is! Jesus is not a means to an end, the Gospel is He came to redeem us from sin, and that is the message forever I’ll yell!